Since the history of Man, we have grown to love entertainment. We clear our mind by entertaining ourselves by meeting friends, reading a good magazine, watching Monday night football match or going to the movies and if you want to do it without moving an inch then you should consider visiting websites/blog with entertaining contents. Shantal.org, is a good example of such websites that entertains with completely entertaining contents for all age groups. As humans, we all need our daily dose of entertainment so that our life will not be too boring! We need people to admire, athletes to admire, a celeb to idolize, a scenario to laugh about, and basically everything that is extraordinary to make our life more interesting and fun. This and many more is what shantal stands for. Entertainment means dancing, laughing and surfing on the big world wide web and when it comes to filling your day with much needed celebrity gossips and videos there is no better place to visit than the Shantal. With much criticisms on entertainments blogs for spreading rumours and not being entertaining enough. But these criticisms are what Shantal is here to solve as they are beginning to have an impact on their loyal readership. In terms of celebrity gossip unlike other similar blogs, Shantel is different as their peeking and eavesdropping is done through the keyholes if you understand what I mean. They make use of reliable sources and social media that these celebrities and stars are a part of. Are you a celebrity watcher? Shantal is here with up-to-date news and gist. Their every breath is picked up by their sources to please their viewers. Taking a look at it, this site definitely appeals to the average person because the layout is so simple but very effective. Shantal has a clean and flawless look, that makes it easy for everyone, even someone without any technical background would definitely find it easy. You can easily scroll through the posts on the blog and you can find all you will be able to find anything you need on the Blog. With its simple design is very professional and well done. The arrangement makes videos and pictures clear to see with auto-play functions and YouTube videos integration it just feels great. The colours of the images go together nicely. 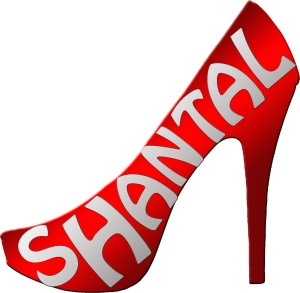 Shantal is fast becoming one of the best entertainment blog around with tons of videos, pictures, scandals report, viral videos/pictures and fun activities for the visitors being uploaded daily. Shantal is also have viral and video contents for its viewers. In terms of entertainment you cannot be bored. Taking a look at the reviews on Shantal by its ever-increasing viewers you will see that there is really no dull moment here. With interesting sections like Shantal – New Stories, Hommage to Shantal and other section that link to sites that matter. 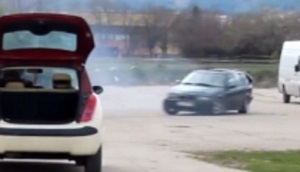 They give funny commentary on headlines to videos, pictures and celebrity news.